Welcome to the Main Barn at Jack Tone Ranch! Fadjurz Gian (Fadjurz Dani x ES Gianalli) at 3 days old, his first outdoor adventure. Fadjurz Dolli, filly born 1/31/12 by Fadjurz New York x SS Nightengale, still wet at about 1 hour old showing her extreme Arabian type and elegance. 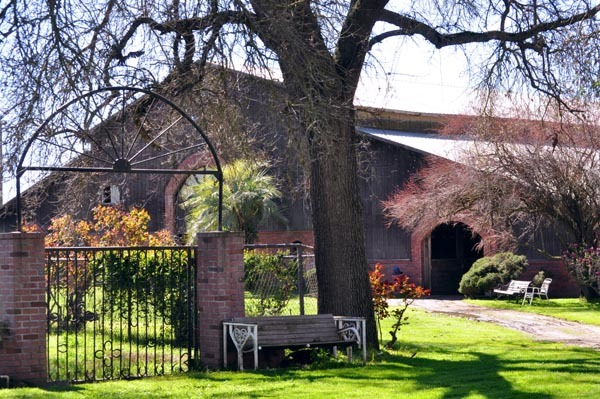 Jack Tone Ranch is the oldest Family-owned, continuously operated horse ranch in the great Golden State of California. The Tones have been a Californian horse-loving family since 1849. Jack Tone Ranch is world-famous for its Arabian horses descended from the Fabulous FADJUR. Beautiful, talented FADJUR descendants are available for sale, at stud or for lease. All types of horses and horsemen are welcome to join the history, horsemanship & warm hospitality of the Jack Tone Ranch! Visitors are always welcome at Jack Tone Ranch. Please call or E-Mail for an appointment or more information about Jack Tone Ranch and our Fabulous Fadjur descendants. View of Fadjur's pasture and New Barn in Springtime at Jack Tone Ranch.